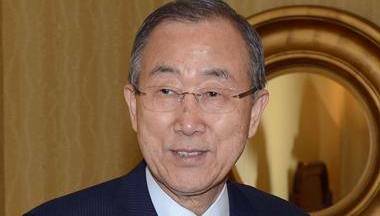 United Nations, Sep 26 (IANS) UN Secretary-General Ban Ki-moon has assured Palestinian President Mahmoud Abbas of its support for the reconstruction of the Gaza Strip. Ban met with Abbas on the sidelines of the annual high-level UN debate, which entered its second day here on Thursday, Xinhua reported. During the meeting, Ban and Abbas discussed the situation in Gaza and the upcoming Cairo Conference on Palestine. Fifty days of conflict in Gaza between Hamas militants and Israel, which ended last month, has left swathes of the Mediterranean strip in ruins. The Palestinian Authority said in a study recently that the reconstruction work would cost $7.8 billion, including $2.5 billions for the reconstruction of homes and $250 million for energy. What’s Britney Spears advice to teen self?